SPEC clutches is the new leader in clutch performance and design. Their Stage 5 clutches have been tested behind manual transmission vehicles with more than 1000hp on tap. For more streetable clutches, check out the Stage 1, 2, 2+ and 3+ SPEC clutches. 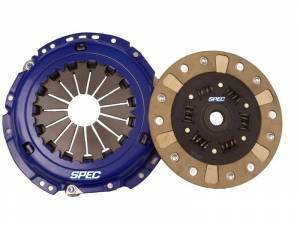 Whether you're interested in a stock replacement clutch, or a clutch to handle more power than your transmission can take, spec has a clutch for you! Click here to learn more about the different clutch stages and flywheel options with our SPEC FAQ. The SPEC FAQ also has information regarding installation and SPEC's limited warranty.